Congratulations ! You have booked your appointment with Deb at Sound Therapeutics/theblessingchair.com , 2016 Ocean St., Marshfield, MA. See you soon. DIRECTIONS: Follow Rte 3 South or North. Take Exit 12 off of Rte 3. 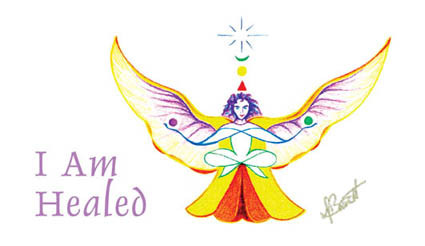 Say ‘I AM HEALED’ out loud 3 x’s everyday, the body cannot resist our proclamation and complies. If you are coming from the North, as you get off of the exit, please take a RIGHT onto Rte 139. If you are coming from the SOUTH, as you get off of the exit, please take a LEFT onto Rte 139. Follow rte 139 through 3 sets of lights. After the 3rd set of lights, we are about 1 mile on your left. Look for The Cranberry Building. The Cranberry Building is a large white historic building and is just before the next set of lights and Marshfield center. If you pass the large Congregational Church on your left, you have gone too far. Sound Therapeutics is in the back of The Cranberry building. Please come all the way to the back of the building to park. Please use the door to the left as you are looking up at the arched window. Thanks.